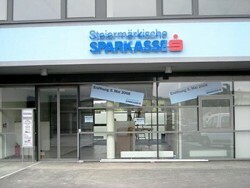 The regional bank Steiermärkische Spàrkasse (Styrian Savings Bank) posted an operating profit of € 190m in 2010, after € 182m in the previous year. The results from the year 2008 (€ 210m) could not be reached again yet. Net income increased from € 41m to € 79m. Significantly lower risk provisions have contributed to this development.